I’ve been impressed with the work of Dexter Filkins since long before I started on my own zig-zag path to this book. When I made the Iraq war the theme of a writing class I was teaching at La Guardia Community College in 2004, I found Filkins’ reporting from Iraq essential reading, and even assigned one of his Fallujah stories as basis for discussion. (Thanks to your reporting from Fallujah, sir, I still dream about steel rain.) I actually did write such a mash note when Filkins won his fellowship from the Nieman Center for Narrative Journalism, where he wrote the hard-to-forget The Forever War. War is too weird a thing to make sense of when it’s actually happening. It’s not just the combat, which by its nature is unintelligible. Armed conflict so fundamentally alters the environment it takes hold of that no aspect of life escapes undistorted: not love, not friendship, not sleep, not trust, not conversation. In war, even boredom is strange. And memory is surreal, as many vets have told us for years. 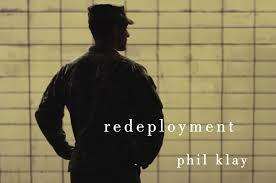 Filkins is a poet at heart, as are many of the warrior writers he mentions in this review — including Phil Klay, whose short-story collection Redeployment is already winning awards. George Packer, another inspiring journalist, also checked in with his thoughts on Klay and many vet-scribes. His lede draws from the ones who sang World War I and got us all to do the same: “‘Every war is ironic because every war is worse than expected,’ Paul Fussell wrote in “The Great War and Modern Memory,” his classic study of the English literature of the First World War. ‘But the Great War was more ironic than any before or since.’ The ancient verities of honor and glory were still standing in 1914 when England’s soldier-poets marched off to fight in France. Those young men became modern through the experience of trench warfare, if not in the forms they used to describe it. […]Robert Graves, Siegfried Sassoon, Edmund Blunden, Isaac Rosenberg, and Wilfred Owen—who all fought in the trenches and, in the last two cases, died there—remained tied to the conventions of the nineteenth century while trying to convey the unprecedented horror of industrial warfare, a condition of existence so murderous and absurd that a romantic or heroic attitude became impossible.” He calls Klay’s book “the best literary work thus far written by a veteran of America’s recent wars,” a high bar considering how many voices are being heard. That should be enough to get you to pick up the book, and maybe write its former-Marine author a mash note of your own. I might too. For now, I’d love to also thank Packer and Filkins, each ten times the journo I’ll ever and translators of hard truths. For the Virgil-lamp, and the inspiration.